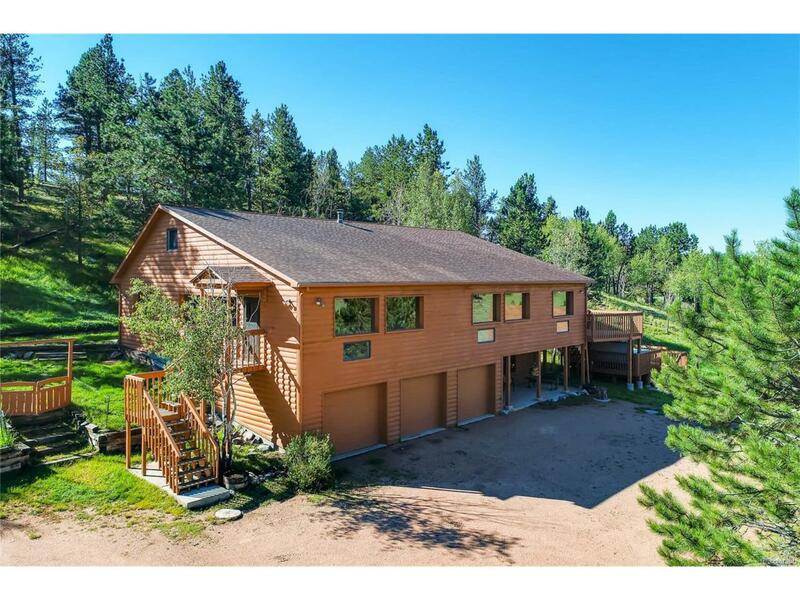 Remarkable horse property located on 9.29 acres bordering the Florissant Fossil Beds National Monument on Upper Twin Rock Road with no covenants or home owner association. The raised ranch-style home sits serenely among the pines overlooking the pasture. Generous room sizes and new carpeting throughout are featured in this family friendly home. The main level Master Bedroom suite has an attached 5-piece Master Bath, laundry space and bonus room that walks out to the deck and hot tub where picturesque scenery awaits. The Great Room and adjoining Kitchen and Dining Room share a vaulted tongue and groove ceiling, skylights, a wood-burning stove and plentiful windows providing an open space to gather and entertain. An Italian Marble tiled floor, Corian countertops and striking cherry cabinets are featured in the kitchen. Bonus areas include the loft space and the large heated enclosed sun room area on the main level.